The chemical industry is the best leading indicator for the global economy. And my visit to Singapore last week confirmed that the downturn underway in the Asian market creates major risks for developed and emerging economies alike. The question now is whether finance directors will choose to aggressively destock ahead of year-end results, to mitigate the volume decline with a decline in working capital. This would be a bold move given continuing geo-political uncertainty in the Middle East, and would also conflict with the more upbeat guidance that was given earlier with Q3 results. But a review of ICIS news headlines over the past few days suggests they may have little choice. Inventories are described as “piling up” in a wide range of major products, including polyethylene – the biggest volume polymer. Indian producers are even offering “price protection” packages on polypropylene, to safeguard customers from losses if prices fall further. Oil markets have therefore provided a classic example of the trading maxim for weak markets – “Buy on the rumour, sell on the news”. He is now pushing Saudi Arabia and Russia to maintain production, and has announced 180-day exemptions for Iran’s 8 largest customers – China, India, S Korea, Japan, Italy, Greece, Taiwan and Turkey. Understandably, oil traders have now decided that his “bark is worse than his bite“. And with the downturn spreading from Asia to the West, markets are now refocusing on supply/demand balances, with the International Energy Agency suggesting stocks will build by 2mb/d in H1 2019. In response, OPEC are reportedly discussing potential cuts of up to 1.4mb/d from December. 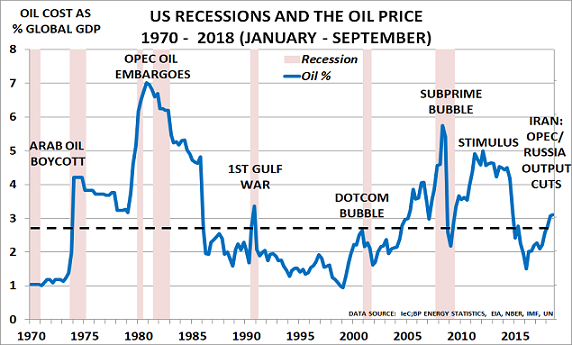 The bumps are getting bigger and bigger as we head into recession. 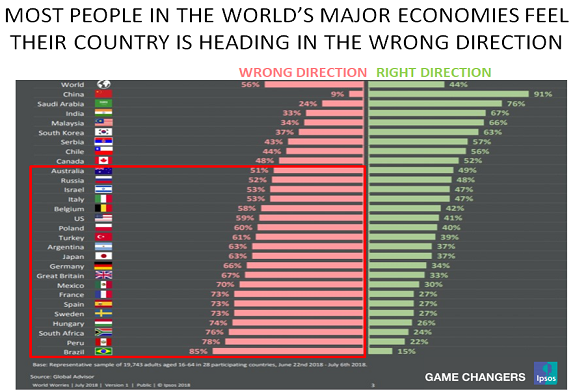 Asia’s downturn is now spreading to the rest of the world, and is a major wake-up call for anyone still planning for “business as usual”. I well remember the questions a year ago, after I published my annual Budget Outlook, ‘Budgeting for the Great Unknown in 2018 – 2020‘. 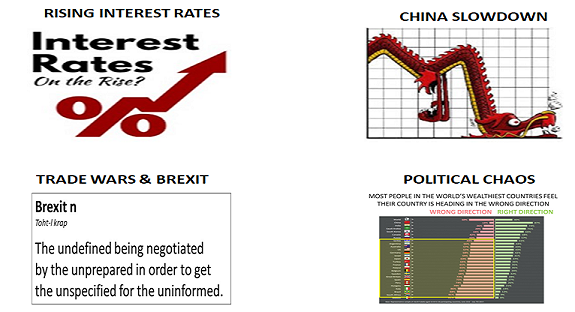 Many readers found it difficult to believe that global interest rates could rise significantly, or that China’s economy would slow and that protectionism would rise under the influence of Populist politicians. Next week, I will publish my annual Budget Outlook, covering the 2019-2021 period. The aim, as always, will be to challenge conventional wisdom when this seems to be heading in the wrong direction. The 2007 Outlook ‘Budgeting for a Downturn‘, and 2008′s ‘Budgeting for Survival’ meant I was one of the few to forecast the 2008 Crisis. 2009′s ‘Budgeting for a New Normal’ was then more positive than the consensus, suggesting “2010 should be a better year, as demand grows in line with a recovery in global GDP“. Please click here if you would like to download a free copy of all the Budget Outlooks. A year later, these are now well on the way to becoming consensus views. 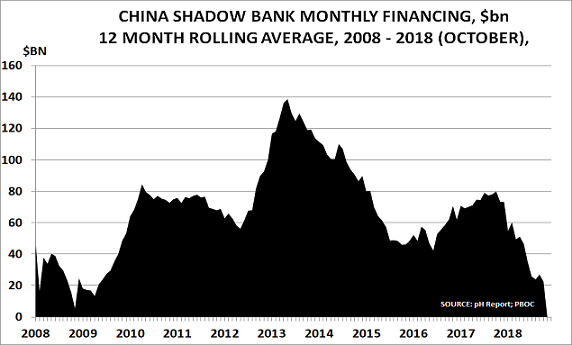 “At the moment, most companies and investors seem to be ignoring these developments, assuming that in the end, sense will prevail. But what if they are wrong? It seems highly likely, for example, that the UK will end up with a “hard Brexit” in March 2019 with no EU trade deal and no transition period to enable businesses to adjust. Populism is starting to dominate the agenda in an increasing number of countries. A year ago, many assumed that “wiser heads” would restrain President Trump’s Populist agenda, but instead he has surrounded himself with like-minded advisers; Italy now has a Populist government; Germany’s Alternativ für Deutschland made major gains in last year’s election, and in Bavaria last week. The last 10 years have proved that stimulus programmes cannot substitute for a lack of babies. They generate debt mountains instead of sustainable demand, and so make the problems worse, not better. As a result, voters start to listen to Populists, who offer seemingly simple solutions to the problems which have been ignored by the elites. Next week, I will look at what may happen in the 2019 – 2021 period, as we enter the endgame for the policy failures of the past decade. The post “What could possibly go wrong?” appeared first on Chemicals & The Economy. 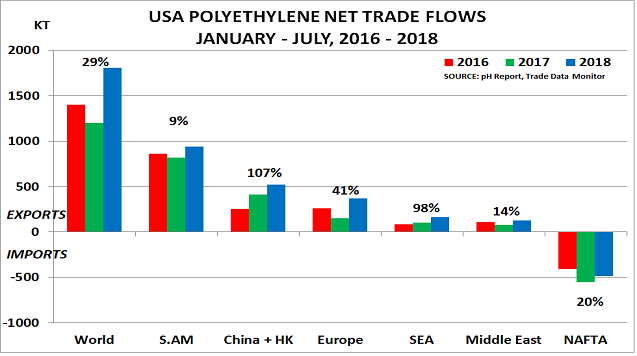 Sadly, my July forecast that US-China tariffs could lead to a global polyethylene price war seems to be coming true. As I have argued since March 2014 (US boom is a dangerous game), it was always going to be difficult for US producers to sell their vastly increased output. The expansions were of course delayed by last year’s terrible hurricanes, but the major plants are all now in the middle of coming online. 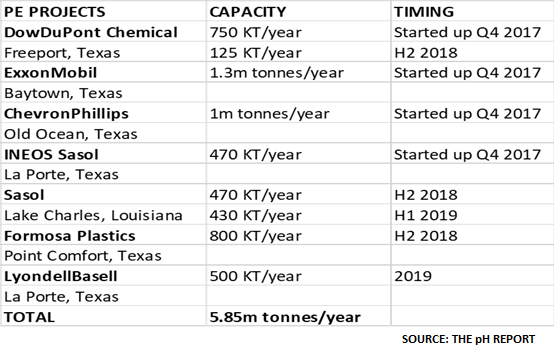 In total, these shale gas-based expansions will increase ethylene (C2) capacity by a third and polyethylene (PE) capacity by 40% (6 million tonnes). 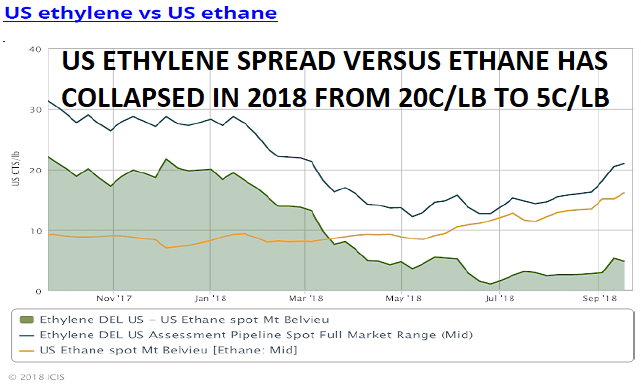 Even worse, as the chart above confirms, is that US ethane feedstock spreads versus ethylene have collapsed during 2018, from around 20c/lb to 5c/lb today. Ethane averaged 26c/gal as recently as May, but spiked to more than double this level earlier this month (and even higher, momentarily) at 55c/gal. The issue appears to be that US producers had calculated their ethane supply/demand balances on the basis of the planned US expansions, and never expected large volumes of ethane to be exported. Yet latest EIA data shows exports doubling from an average 95kbd in 2016 to 178kbd last year. And they are still rising, with Q2 exports 62% higher at 290kbd. The second chart from the latest pH Report adds a further concern to those of over-capacity and weak pricing power. It focuses attention on the weak state of underlying demand. Even the prospect of higher oil prices only led to modest upturns earlier this year in the core olefins, aromatics and polymers value chains as companies built inventory. 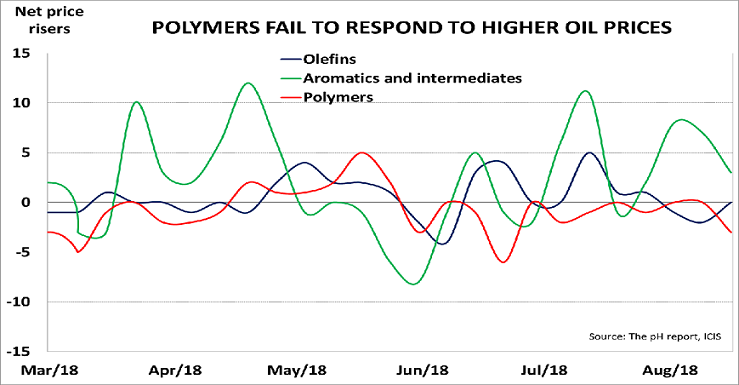 Polymers’ weak response is a particularly negative indicator for end-user demand. “Demand has been disappointing for many sellers in September, after a fairly weak summer. “I don’t see a big difference between now and August,” said one, “for both demand and pricing. Customers are very very quiet.” All PE grades were available, with no shortage of any in evidence. But the detail of global PE trade suggests a more pessimistic conclusion. 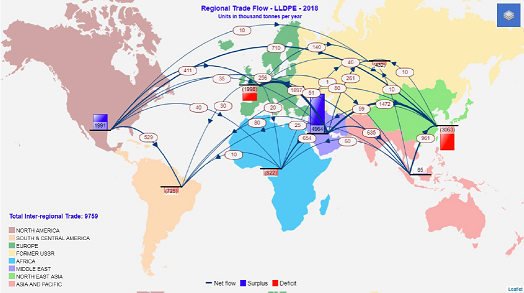 Data from Trade Date Monitor shows that China was easily the largest importer, taking a net 11.9 million tonnes. Turkey was the second largest importer but took just 1.7 million tonnes, around 14% of China’s volume. And given Turkey’s economic crisis, it is hard to see even these volumes being sustainable with its interest rates now at 24% and its currency down 60% versus the US$. China’s US imports will now almost certainly reduce as the new tariffs bite. 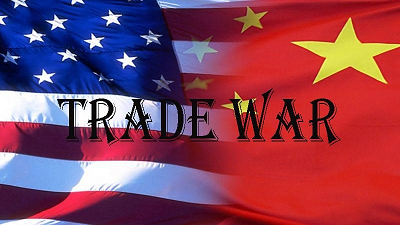 And the onset of the US trade war is likely to further boost China’s existing aim of increasing its self-sufficiency in key areas such as PE. Its ethylene capacity is already slated to increase by 73% by 2022, double the rate of expansion in 2012-2017 and from a higher base. The majority of this new volume will inevitably go into PE, as it is easily the largest derivative product. 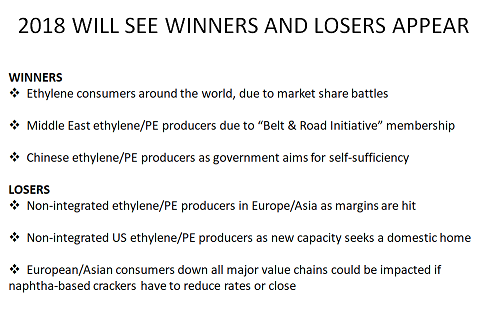 Back in May, I used the chart above to highlight how the coming price war would likely create Winners and Losers in olefin and polymer markets. Unfortunately, developments since then make this conclusion more or less certain. I fear that complacency based on historical performance will confirm my 2014 warning about the dangers that lie ahead. 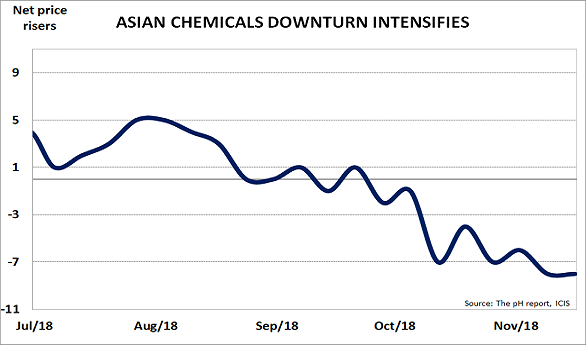 The post Ethane price hikes, China tariffs, hit US PE producers as global market weakens appeared first on Chemicals & The Economy. 2 years later, the median age is still increasing, and the average Boomer is aged 63. But there is one major change from 2 years ago. 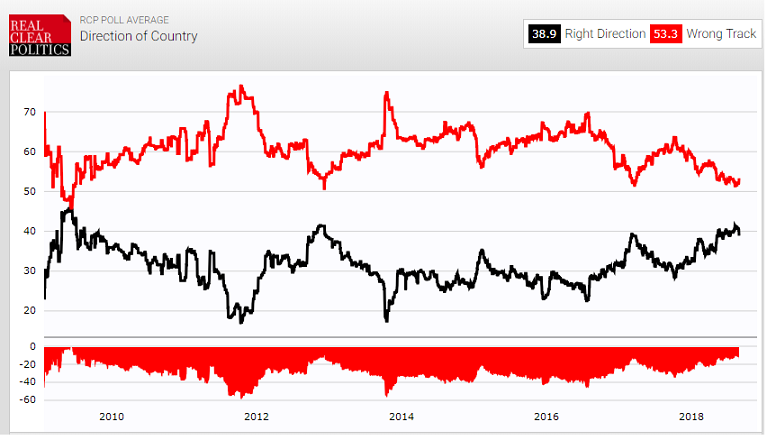 Then, President Obama had a positive approval rating at 50.7%. But today, President Trump has a negative approval rate of 53.9%. This has clear consequences for the likely outcome of the mid-terms, with the latest FiveThirtyEight poll suggesting the Democrats have a 3 in 4 chance of winning control of the House. In turn, of course, this increases the risk of impeachment for Trump and makes it even more difficult for him to stop the Mueller investigation. We therefore have to assume that Trump will do everything he can to reduce this risk over the next few weeks. 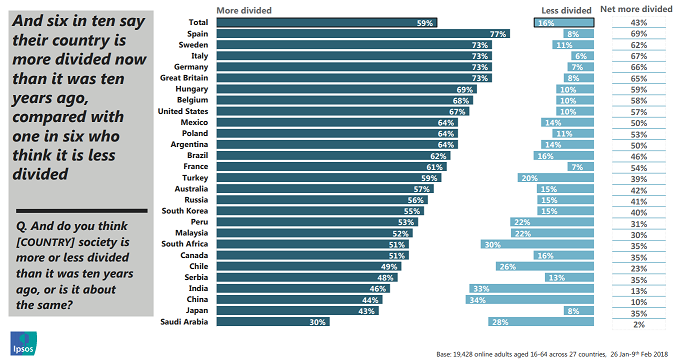 The key issue is summarised in the 3rd slide from a BBC poll, which shows that 3 out of 4 people in the world believe their country has become divided. More than half believe it is more divided than 10 years ago. One might have expected that politicians would be working to remove these barriers. But the trend since 2016 has been in the opposite direction. Older people have historically always been less optimistic about the future than the young. And the Populists from both the left and right have been ruthless in exploiting this fact. Yet 3 years later, this has now happened on a major scale – impacting a growing range of industries and countries. As the mid-term campaigning moves into its final weeks, we must therefore assume that Trump will focus on further consolidating his base vote. Further tariffs on China, and the completion of the pull-out from the Iran nuclear deal are almost certain as a result. Canada is being threatened in the NAFTA talks, and it would be no surprise if he increases the economic pressure against the US’s other key allies in the G7 countries, given the major row at June’s G7 Summit. Anyone who still hope that Trump might be bluffing, and that the world will soon return to “business as usual”, is likely to have an unpleasant shock in the weeks ahead. The post Political and economic risks rise as US mid-term elections near appeared first on Chemicals & The Economy. It was quite a week. None of us know what may happen next, as I warned when Ready for Brexit launched last month. They could have a considerable shock ahead of them, as the Brexplainer video above explains. HAS YOUR BUSINESS PLANNED AHEAD FOR A ‘NO DEAL’ BREXIT? Most smaller businesses have assumed they don’t need to do anything. Yet 29 March is now only 257 days away. SURELY ITS CERTAIN THAT WITHDRAWAL AND TRANSITION AGREEMENTS WILL BE SIGNED? And now, of course, Davis has resigned along with his fellow Leave campaigner, Boris Johnson. 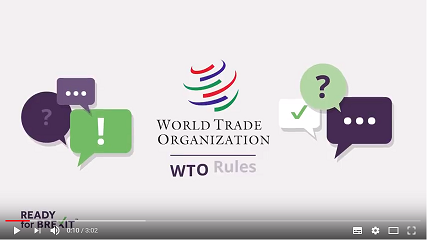 Have you asked your suppliers about their plans for a ‘no deal’ scenario? Have you asked your customers about their plans for one? Have you checked if your ‘just in time’ deliveries will still arrive? Have you checked if your insurance policies will still be valid? We can all hope that negotiations are successful. But hope is not a strategy. And after the events of the last week, prudent managers now need to start start planning for ‘no deal’. Please click here to watch the Brexplainer video. The post UK faces ‘make or break summer’ as ‘No Deal’ Brexit risk rises appeared first on Chemicals & The Economy.